21 Thunder | TV, eh? While you may not know exactly what you’re going to get from a television series involving Mike Clattenburg, you have a pretty good idea. He is, after all, the creator of Trailer Park Boys, that ribald comedy starring three East Coast dudes smoking weed, sipping adult beverages and going on profanity-laced adventures. At its heart, Trailer Park Boys was about family. Family is also at the heart of Clattenburg’s latest project, Crawford. Well, family and raccoons. Many, many raccoons. Debuting Friday on CBC.ca and the CBC TV app before moving to the main network on June 14 at 9 p.m., Crawford‘s 12 episodes centre on a dysfunctional family headed by Cynthia (Jill Hennessy), an award-winning cereal executive trying to juggle work, her husband Owen, and her lover; and Owen (John Carroll Lynch), a former police chief who suffered a bullet wound on the job and communicates via an app on his smartphone. Adding to the nuttiness are siblings Don (Kyle Mac), a musician who returns home following an emotional breakdown; Wendy (Alice Moran) and Brian (Daniel Davis Yang). 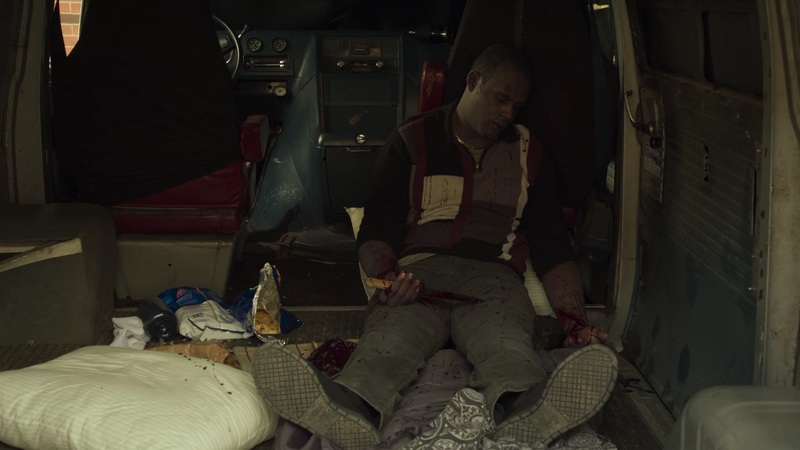 In the first episode, “I’m not crazy, I love you,” Owen awakes to a ransacked kitchen. Food is all over the place and he has no idea who, or what has done it. Suddenly, Don arrives and begins hauling clothes and musical equipment into his old bedroom, putting a strain on a father-son relationship already smarting from something in the pair’s past. Owen is convinced burglars broke into the house while he was asleep; turns out a family of raccoons enjoyed a buffet lunch while he snoozed. And, strangely, Don feels a weird connection with the little beasts. 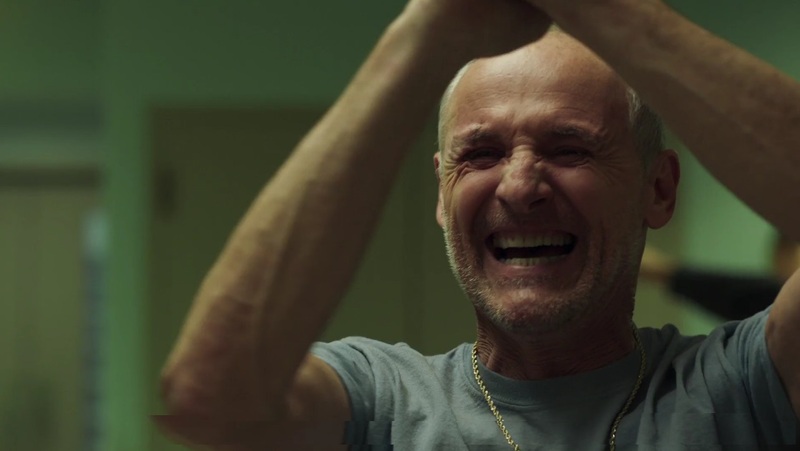 Clattenburg and co-creator, writer and composer Mike O’Neill were thinking about their own fathers—who had recently passed away—and came up with the dad character. The rest of the family dynamic followed soon after and the duo was determined to create something not seen on television before. Far from being outlandish, the pair sought to make Crawford as realistic as possible via scripts written by them, Zoe Whittall, Kathleen Phillips-Locke, Monica Heisey and Timm Hannebohm and hired dramatic actors to take on comic roles. And, in a departure from how television is usually made—table read followed by filming—the cast rehearsed extensively in advance. “It was a luxurious, delicious gift,” Hennessy says. “You never get a chance to rehearse in TV or even in films. The rehearsal process was so invaluable because we got to know each other and become a family. We heard the dialogue come to life and the spectrum of the characters really came to life. It was one of the closest experiences I’ve had in TV to theatre.” Lines were workshopped, improvised and worked on to determine what was best for the scene and the plotline. Crawford‘s first season is available for streaming this Friday via CBC.ca and the CBC TV app. Crawford airs Thursdays at 9 p.m. on CBC beginning June 14. 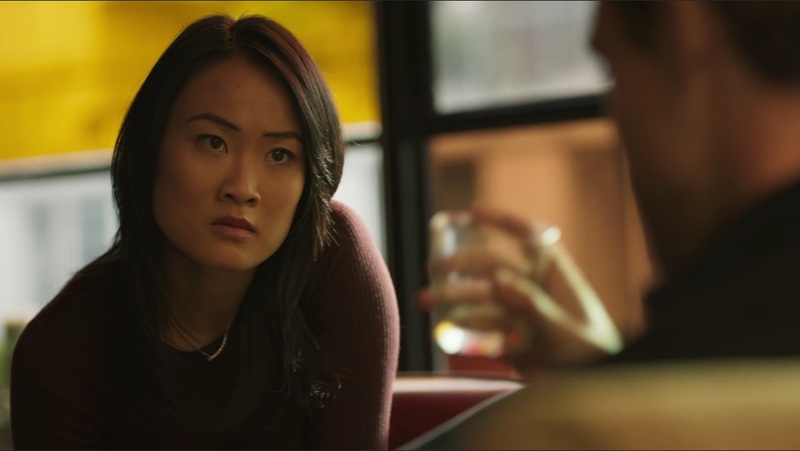 Eileen Li, who plays Lara on 21 Thunder, was incredibly busy last week with her TIFF schedule. Still, she found some time to answer a few questions—ahead of the show’s first season finale on CBC—about her character, Lara, and her experiences with the predominately male cast of 21 Thunder. Lara is returning to a dark place that she had fought to distance herself. How is that darkness for you to play? Eileen Li: It was quite liberating to explore that side of myself through playing Lara. I have a hard time being ‘the bad guy’ in my real life so it was great to play someone who knows what she wants and how to get it. It also taught me that everyone does everything out of place of need. It’s easy to peg Lara as just the bad girl, but there is a need and determination in her to survive and to make something of herself. I think we all can relate to that on some level. She’s definitely been the most complex character that I’ve been able to play. How do you contrast your character with that of Nolan? You both come from pasts with criminal influences. He found his ‘good side’ through Emma, whereas your character attempted to find that through medicine. Pressures are threatening to pull Nolan under and he is essentially martyring himself to do the right thing, ending his relationship with Emma and pushing her away in order to keep her safe. Lara, on the other hand, is running with this darker side, resigning herself to this lifestyle. What are your thoughts on this as your character has developed? I absolutely think that through Emma, Nolan was able to root himself into his ‘good side.’ I think that without her love and unwavering support, he would’ve had nothing ‘good’ to fight for. Behind every man is an even stronger woman, am I right? Lara, on the other hand, has been surrounded by nothing but bad influences and nothing to root herself in. She has an innate ability to manipulate and is often one step ahead of everyone. I think that’s why she ends up being fed up with these other guys running her show. She wants to break away because she’s convinced they need her more than she needs them. How does Lara reconcile her desire to be a doctor, and the Hippocratic oath she will have to take—do no harm, etc.—with her role in this game fixing ring, particularly taking care of Desjardins? For her, it’s all about being in survival mode. Like she says, ‘I’ve done things I’ve never thought I could do.’ It’s one of those things that she probably was always capable of, considering her family history, but it wasn’t until she was put in that situation, that she realized she could do really do it. What good is an oath if you’re dead? I think that’s basically what it comes down to. As one of the few females who support a professional men’s team, how was that to live with as you went about shooting the series? 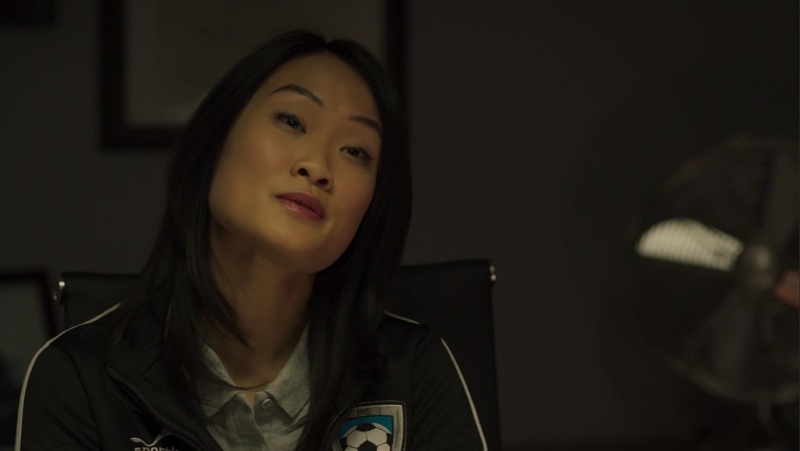 21 Thunder is very much about a men’s soccer team, but if you look at all the female characters in the show, there are all strong and intelligent women. I also think the show really highlights what it’s like to be a strong woman in a man’s world. In terms of shooting, these guys are the best group of guys you could ask for. They really are a team and the chemistry between all of us is evident on screen. We’ve all become very good friends, and that’s why this show has been particularly special to be a part of. Can you tell fans a bit about yourself? Where you grew up? How you came to the business of acting? How you got this role? I was born in Winnipeg, Manitoba. My parents emigrated over from China with my two older sisters, but we’ve lived most of our lives here in Toronto. I started taking an interest in acting back when I was in high school but because my parents valued academics, I went to university for kinesiology. Shortly after my first year, I realized I need to pursue my passion and the rest is history. I was filming Kim’s Convenience last year when I got the call about 21 Thunder. I put myself on tape and eventually had a Skype callback with the producers and director. I thought for sure I didn’t get the part because it was three weeks later that I got the call. It was a surreal moment for me. What about this role are you most proud of now that the season is wrapping up? 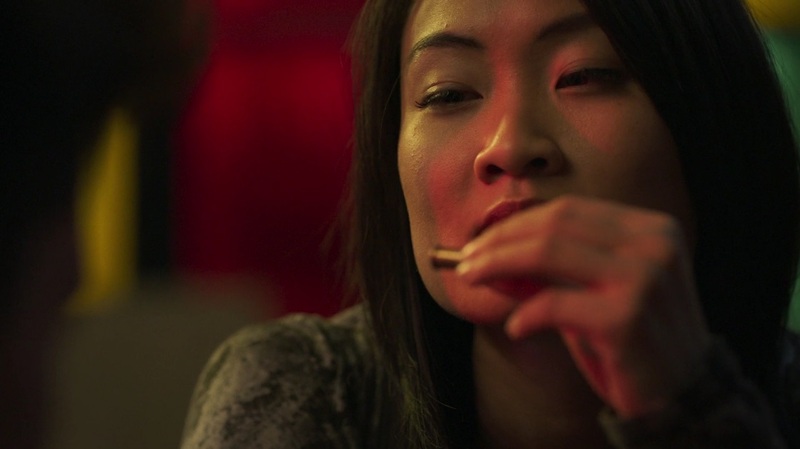 I feel most proud of representing a strong Asian woman on screen. Lara has been capable of holding her own in a room full of dangerous men. She’s smart and she’s a survivor. She may not be making the best choices in her life but there’s no denying that she’s powerful. I think that’s a portrayal of Asian women that we haven’t seen enough of. My thanks to Eileen for squeezing me in for a few questions! 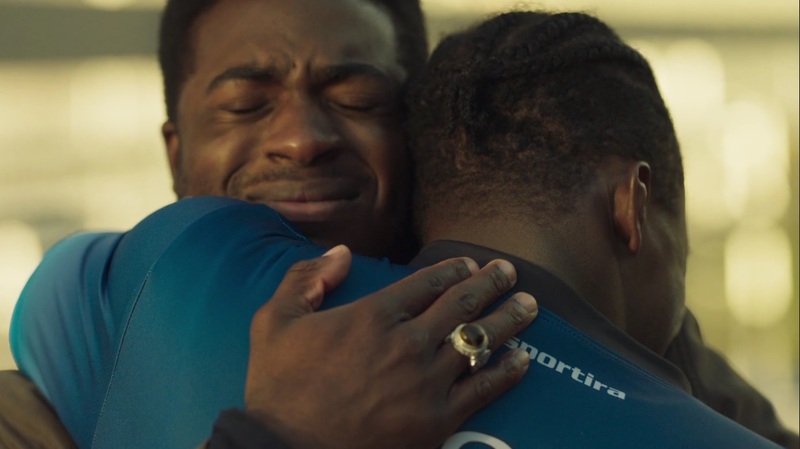 21 Thunder‘s season finale airs Monday at 9 p.m. on CBC. 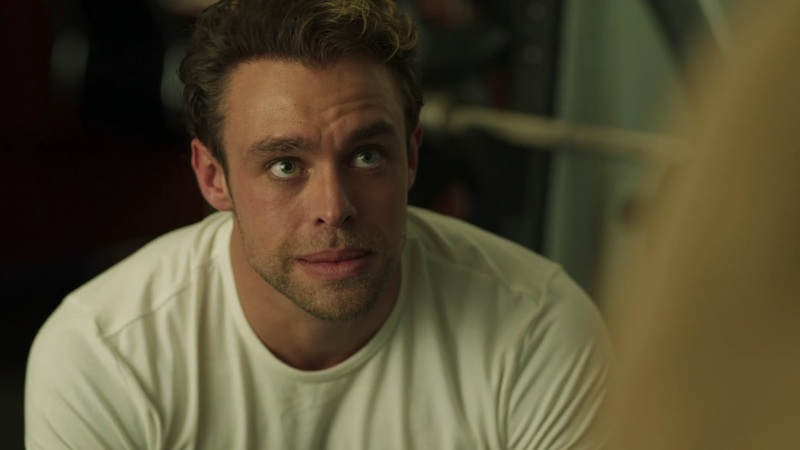 Acting newcomer Ryan Pierce claims to “not really be an actorly actor” and with that in mind we stumbled along with many great laughs and detours during our conversation. I managed to pin him down with a few questions, and Ryan earned a gold star for his answers about both his time with Aberdeen and Kilmarnock in the Scottish Premiere League and his transition to acting in CBC’s 21 Thunder. You bridged two worlds, the world of professional soccer and acting with your character Davey Gunn. What have you been doing since filming to continue that process? Ryan Pierce: My main project is myself right now. I took some time out to do some travelling, and some soul searching. I have only just recently gotten back into things. 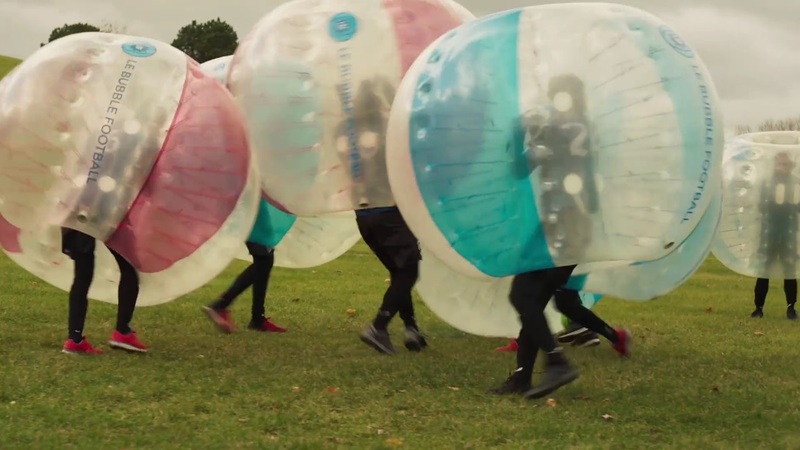 I took a couple of commercials this last month, but apart from that theatrically, I have just been interested to see how this show [21 Thunder] went. I guess I have been working on furthering my career internally, to see if this is the path that I should be on. When coming from playing soccer to becoming an actor and playing a soccer player, that is a very different transition but is something that I definitely connect to and I can see a future in. But I am just taking my time. I have adopted the mantra from The Tortoise and the Hare and just taking my time. You have travelled a unique path to get to where you are today. Can you share a bit about this journey? This is definitely an area that I have been into for some time now; preconditioning, and why you are the way you are. But I got to the point where I had to choose between being a soccer player and continuing my education. My dad was a former professional soccer player as was my uncle. My mum wanted me to stay on in school but my dad had this dream for me and was also my coach from when I was very young. I guess I was his project and I wasn’t very big on school. I was happy to make the jump and move to Aberdeen, which was three hours from my home in Glasgow, and live there. But my parents were very supportive. For me, it wasn’t so much about playing soccer as it was about leaving school. I guess the rest is history. Soccer was very up and down for me personally, but the experience made me who I am now and I can reflect upon that and use that as a way to grow. These hardships that I put myself through because we all put ourselves through all of these things, I have managed to learn a lot about myself, so I can only be thankful for all of these experiences that I have had in the past. Your character, Davey Gunn, has had a life of privilege having played professional soccer, and he is now having to carve out a new niche for himself in both a new country and in a new role as a coach, something very you yourself are also doing with your own transition. Can you tell me a bit about that process for Davey? I guess with Davey, being such a high profile and successful soccer player with a lot of baggage, he is a protagonist with soccer in his blood. I guess the transition is easier for him going from soccer player to soccer coach, than for me to an actor. I mean Davey and I, we are the same people basically. We are so so different and yet we are so similar at the same time. I have had my troubles off the fields as has Davey, as you will see throughout the show. But Davey has a god complex and being this public figure for such a long period of time because being a soccer player, you leave school, especially in Britain where you leave at a young age, and you are thrown all of this money. It must be very easy to feel this superiority. And then coming over to MLS, and not to do a disservice, but a lot of professionals from the past and present have came, as they wind down their careers, for the lifestyle and the weather. Davey kind of hopes that this is a way for a fresh start for himself. But obviously having to coach the under-21’s is a bit of a pain for him. And for being such an animated character on the field and off the field I think that ultimately it is an easy transition for Davey Gunn because it [soccer] is his life and has only ever been his life. It is life outside of soccer that catches up with him, and this is where you will see his life kind of unfold. I have to ask. How much of what goes on in 21 Thunder representative of what life is like in a professional soccer league? Well in terms of Andres Joseph’s character Alex, being transferred when his life is so intertwined with this club, these things happen all the time. People signing a three-year contract, and then all of a sudden the manager doesn’t like them as a football player, or in perhaps as in many cases, as a person, because it can be so personal, your life can just be uprooted out of nowhere and you have to start again. So all of these issues that they are going through are real because they are human beings who deal with real problems. 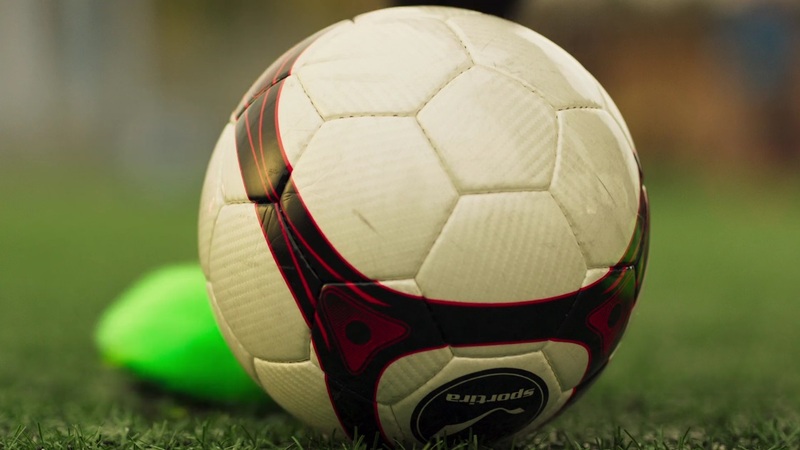 In the case of match fixing, that is, unfortunately, a thing in the world of soccer. All of these things that are happening in the show in some way shape or form are all there or are at least relatable to real life outside of the show. I am sure a lot of players out there have a lot of demons. There is a player in the UK by the name of Joey Barton and I think he was banned or suspended for betting on games. He was not fixing games but he was betting on games. There were claims he had some sort of information about certain players being unavailable for matches or what not. But back to your question which was about how much of the TV show is basically legit and along the same story lines off the field, I would say that they are all very similar. 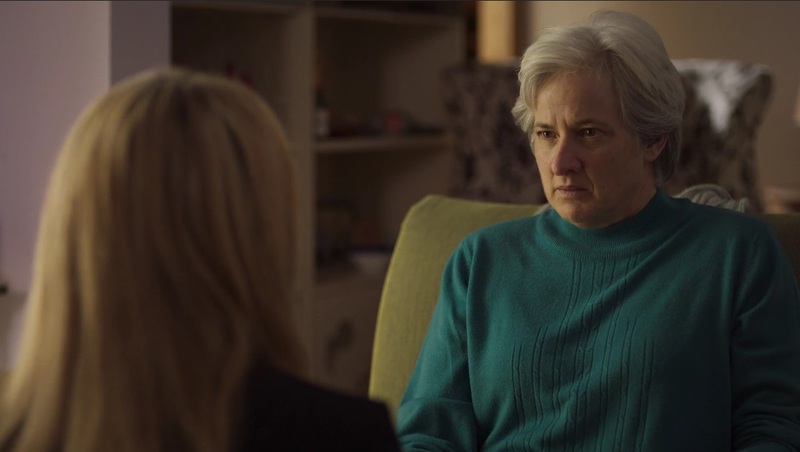 Finally, I am curious about this on screen relationship between Davy Gunn and Grace Cook. That is a fun one! I [Davey] just understand her. For me as a person, I am familiar with that character and the hard mum. The parent being hard on her daughter. I can see through it and I can see the psychology of the situation. I can relate. She likes a bit of alcohol, I like a bit of alcohol. My thanks to Ryan for taking some time away from his stroll on Venice Beach to have a chat with me. Slàinte!